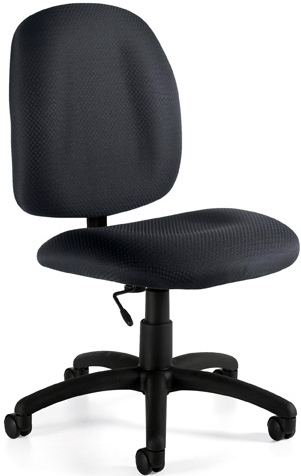 An ergonomic office chair, this armless model works well in tight spaces. This chair comes in Black with twin wheels and pneumatic seat height adjustment. Warranty and free shipping on all office furniture.